With the numerous discoveries made over the past 10 years, it is clear that civilizations have existed on Earth much sooner than previously believed. 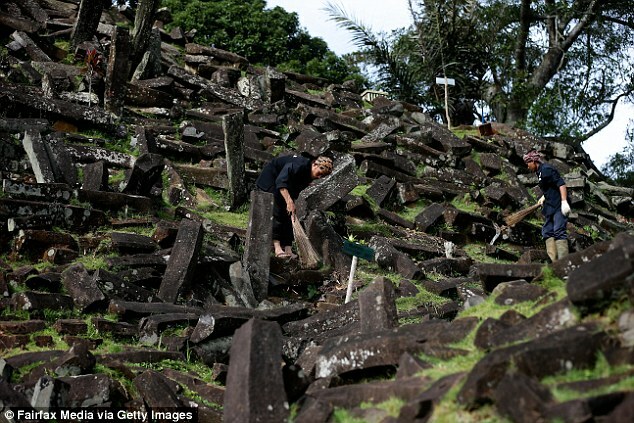 One of those ancient ‘lost’ civilizations could be around 20,000 years old and found in Indonesia. If these structures prove to be the real deal (they are being battered by mainstream scholars and tagged as a hoax) then we are looking at a whole new page in our history books, one that changes everything we know about civilizations, origin of mankind and humans on Earth. No one knew that the Pyramid was a pyramid until geological surveys were done in 2011. According to stamens from Geologist Dr Danny Hilman could hide the remains of a lost temple that could date back 20,000 years. Hilman believes that the site (Gunug Padang) is of great cultural and historical importance since it contains the remains of a huge Pyramid that was built some 20,000 years ago, by a lost civilization, adding that it may have been built for worship or as a giant astronomical instrument. The giant structure that could hold the key to a lost civilization was discovered over 100 years ago when megalithic blocks of columnar basalt were discovered hiding scattered amongst the dense trees and undergrowth that then covered its summit. Locals call it Gunung Padang which means “Mountain of Light”, or “Mountain of Enlightenment”. The first radiocarbon dating was done by Danny Natawidjaja producing dates around 500 to 1,500 BC which was in the limits of accepted dates by mainstream scholars. However, everyone was in for a surprise when Natawidjaja and his team extended their investigation using tubular drills that allowed them to carbon date much deeper levels of the structure. The first samples showed evidence of manmade structures far beneath the surface. However, that wasn’t the most surprising discovery… organic materials which were brought up in the drill cores began to yield older and older dates – 3,000 BC to 5,000 BC and as the team drilled further down the dates were shockingly old… and at depths of around 90 feet, radiocarbon dating showed that the structure dates back around 20,000 BC to 22,000 BC. Why is that a problem? Well because dates from about 9000 BC and earlier correspond to a period referred to as the ‘Upper Paleolithic” which was a period in the Last Ice Age when Indonesia was part of a large southeastern Asian continent called Sundaland, a time when ancient humans did not have the ability or knowledge to create such structures according to mainstream archaeologists. Dr Hilman, who is a senior geologist at Indonesia’s Centre for Geotechnical Research, believes that proof of the structure’s man-made origin lies deep underground. However, just as with many other findings challenged by some mainstream scholars, there is a lot of skepticism surrounding the giant structure of Gunun Padang. Volcanologist Sutikno Bronto has criticized the alleged findings saying that the structure isn’t a pyramid at all, but the neck of an old volcano. He suggests that the stones surveyed have been weathered by nature and were not cut by human beings. Other experts are very skeptical suggesting is that it is nearly impossible that in such remote times, humans possessed the means and technology to build such structure. 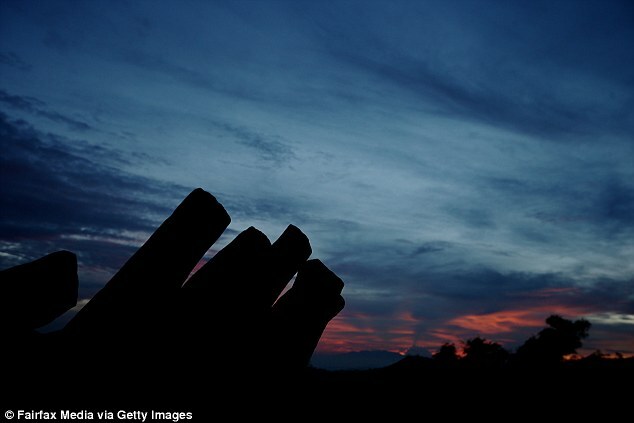 This ancient site located in Indonesia, like many others around the world, is believed to be the ultimate evidence that proves advanced ancient civilizations existed in the distant past on Earth, with capabilities and knowledge to erect structures and monuments that challenge our very own modern-day capabilities. Even though mainstream scholars have tried very hard to disprove these findings, many others believe it is only so because of their own failure in understanding these megalithic structures.